Journey of a Catholic from an Atheist to Orthodox Church and finally Islam ~ Islam My Ultimate Decision . Faith is the basic foundation of any human being. One may believe in anything or anyone, but the faith solidifies only when one comes to understand the truth and the wisdom behind a faith. Since Prophet Adam (peace be upon him) the large number prophets were chosen by Allah to help people find the truth. But it always so happened that soon after these prophets were gone, their followers became disillusioned and their faith became corrupted. This happens when pollution finds its way into one's faith or there are questions that still remained unanswered. That is when the unsatisfactorily leads a person to find answers in other faiths - and mostly such people finally chose Islam as their ultimate faith, for Islam answers all queries and question that saturate one' s mind. I have already shared personal accounts of a few, and today I am sharing the account of young man Rosario who was a born Catholic, but went astray and became an atheist when his religion of birth could not answer his queries. I came across this account at the Muslim Stories and am sharing a few excerpts while you may read the complete account from the source reference given at the end of the post. Dissatisfied with Catholicism, he says he became an atheist. But it still made him more miserable as here too there were no answers. He then took up philosophy which made him more critical and open to the world. He started questioning his faith found him moving from denomination to denomination in search of the “true” Christianity, until he finally ended up in the Greek Orthodox Church. Although not fully content, he thought he had found “true” Christianity at last. However, perhaps still the most difficult doctrine was the fact that Jesus was God. He says he understood the Trinity, but the concept still felt as though it was “forced” on to what the scriptures were actually saying. And then a friend introduced him to a Muslim and things started to clear up for him. He discussed various issues with the Imam of the masjid for over next 4 - 5 months. He found people around highly intellectual and engaged in philosophy more deeply than the average person. And then decided to read Qur'an, the last of the four holy books. The more he read the translation of the Qur'an, the more he understood that "how personal the Qur’an was — as though it was talking to me directly; it was drastically different than how the Bible was written." And your Lord has decreed that you not worship except Him, and to parents, good treatment. Whether one or both of them reach old age [while] with you, say not to them [so much as], "uff," and do not repel them but speak to them a noble word.And lower to them the wing of humility out of mercy and say, "My Lord, have mercy upon them as they brought me up [when I was] small." This really moved him and made him cry for he remembered how his mother went through to take care of him "and how our culture we practiced and lived in made it the standard to be distant from one’s parents and to be disrespectful. It was the first time I realized that respecting one’s parents was essential. It had never dawned on me before. 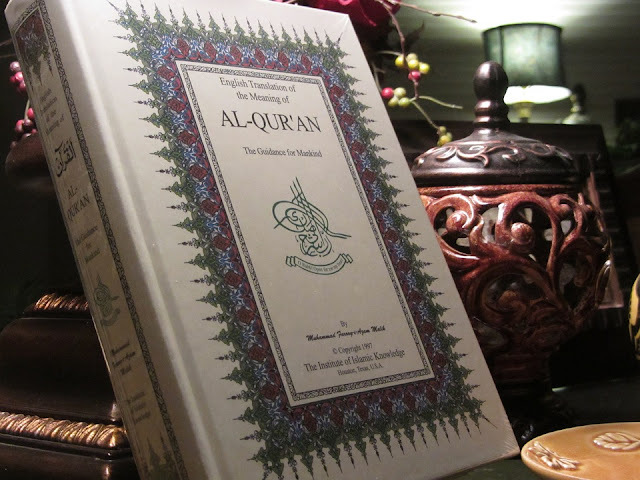 Even though I struggle to do so to this day, it was the Qur’an that made me realize it as a part of my moral duty." And this reading made him realist that it was Islam that must be his ultimate faith to live his life in truth. He also came to know while reading history of Islam that Spain (Al Andulas) was once under Muslim rule for almost eight hundred years - a country which he originally belonged to. By that time he had also read the differences between the two mainstream branches of Islam, i.e. Sunni and Shia, he chose to be a Sunni Muslim and 'reverted' to Islam and changed his name to Asadullah Ali Al-Andalusi (Al Andalusi fro his roots with Spain). He faced lot of resistance from his friends and family, specially his mother who had endured prejudice as a Spanish/Puerto Rican immigrant, which is why she had given me an English name and only wanted me to learn to speak English. HE then completed his studies and went to Malaysia to learn more about Islam. He is now doing a PhD in Islamic Studies and critiquing ISIS (my thesis is “The Delusional State of ISIS”), showcasing how their understanding of Islam is actually quite liberal and modern. 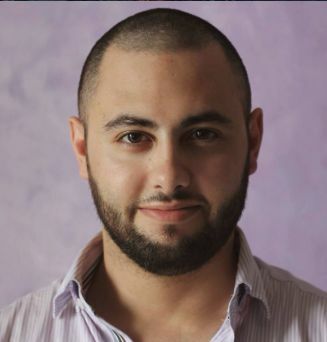 Asadullah Ali Al-Andalusi is a research fellow for Yaqeen Institute and the founder of the Andalusian Project, an independent research platform for counter-Islamophobia studies. He holds degrees in both Western and Islamic Philosophy and is currently pursuing his Ph.D in Islamic Studies. He specializes in topics related to the philosophy of science, atheism, terrorism, Islamic political thought and ethics, and other issues surrounding the global Muslim community.